NOOSA: Dingo protection campaigner Jennifer Parkhurst will plead not guilty to more than 40 criminal charges when she fronts court on September 9. Ms Parkhurst, a vocal lobbyist for greater protection of Fraser Island dingoes, this week broke her silence over the trial, which comes almost a year after state government officials raided her Rainbow Beach home seizing photos, computers, journals and cameras. Noosa MP and opposition environment spokesman Glen Elmes and a group of Noosa locals continue to support her cause. 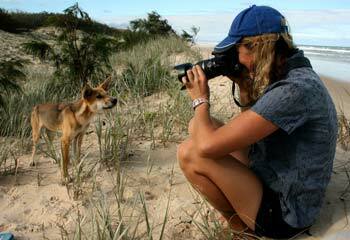 The Department of Environment and Resource Management allege the wildlife photographer and Save Fraser Island Dingoes Association member interfered with and fed dingoes on the World Heritage listed sand island over a 13-month period. If found guilty she faces fines of up to $300,000 or two years’ imprisonment. Ms Parkhurst told The Noosa Journal this week efforts to have her trial adjourned to allow her defence counsel time to review five folders of prosecution material had been unsuccessful. 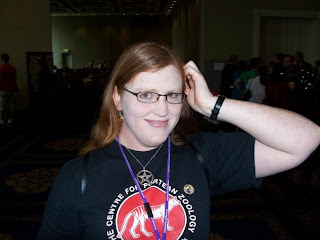 "As it stands they’ve set the trial date for September 9, which gives us less than a couple of months to go through their case, which they’ve compiled over eight months with a team of up to five people," she said. Ms Parkhurst said she lost a member of her counsel after Legal Aid was denied, however Noosa-based Ocean Legal this week confirmed it had joined Ms Parkhurst’s defence after reading about her case in The Noosa Journal. Kristy Crabb, Barrister of Sunshine Coast Barrister’s Chambers Maroochydore, has also joined her defence, Ocean Legal spokeswoman Marilyn Nuske confirmed. Ms Parkhurst’s Melbourne-based father’s attempt to re-mortgage his house to fund his daughter’s defence had been unsuccessful, but letters of support arrived daily. "Not a day goes by that I don’t hear from people telling me to keep up the fight,’’ she said. "I’m so humbled. These are people I don’t even know, and I’m so grateful to have so much support. "There have been times when I just burst into tears. A book on Ms Parkhurst’s Fraser Island dingo research has been canned due to legal concerns and she said she had lost seven years worth of work seized in the raid. The case and her concerns about the island, first reported by The Noosa Journal last year, have made national headlines. Ms Parkhurst has won widespread support from wildlife groups, Aboriginal elders, Noosa locals, civil libertarian lawyer Terry O’Gorman and MP Glen Elmes who previously described the raid on her home as "Gestapo tactics". Cast your minds back to the Weird Weekend in August, this year attended by Aussies Rebecca and Mike who were spruiking their book, Australian Big Cats: An Unnatural History of Panthers. On the August 17, CFZ Director Jon Downes announced that Danish Zoologist Lars Thomas had examined hair samples found in Huddisford Woods near Woolsery, and pronounced them to be leopard. The hairs (which were found by Lars, naturalist and big cat researcher Jon McGowan and a team known as the Four-Teans) were offered to any research group or academic institution who wanted to try and verify Lars's findings. The first person to contact Jon was Dr Ross Barnett from Durham University who has done DNA analysis on them, and has confirmed that they are Pantherine, probably leopard. Dr Barnett is now carrying out further tests to establish the species and subspecies for certain and a full announcement by Jon will be made then. In the meantime you can read about Lars's analysis at the Fortean Times website. 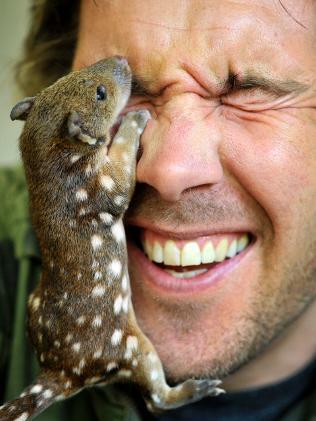 Zoologist Chris Humfrey doesn't recommend keeping tiger quolls as pets. Despite their size, the small carnivores' aggressive nature means they're inclined to attack whatever crosses their path. 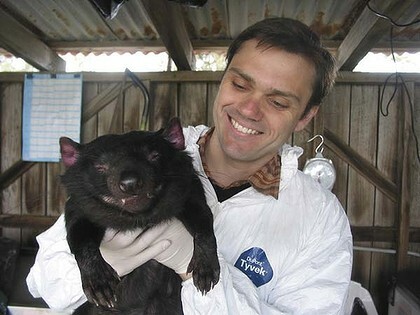 Mr Humfrey breeds the species, the lesser-known cousin of the Tasmanian tiger. He said quoll numbers had dwindled due to habitat destruction, poisoning and foxes and cats attacking their offspring and spreading diseases. Mr Humphrey is hand-rearing two of the 17 baby quolls, named Quincy and Queenie. Chris runs www.wildaction.com.au - a wildlife education business. Darwin Lord Mayor and Frog Watch co-ordinator Graeme Sawyer has discovered a new species of frog on the Napier Peninsula in Arnhem Land, but warns it's already under threat from the exotic cane toad. "It is a bit different from anything else we have seem in the Northern Territory," he said. "Whilst it is exciting to find a new species, we have significant concerns about the fact that the site of this new species is just being invaded by cane toads, and we know nothing about the life cycle of this frog and possible impacts from things like cane toads." On today's Sydney Morning Herald website is this engrossing story about a killer whale that forged an unlikely alliance with a group of Australian whale hunters. Eighty years ago this week - on Thursday, September 18, 1930 - The Sydney Morning Herald reported the death of one of the most eccentric celebrities of NSW. The body of ''Old Tom'' was found washed ashore near Eden. 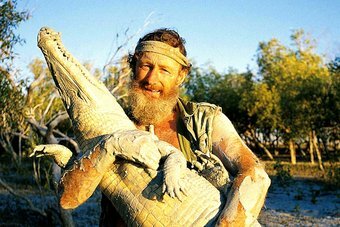 The paper described him as ''the king of the far-famed pack of Twofold Bay killers'' and ''the last of his tribe''. 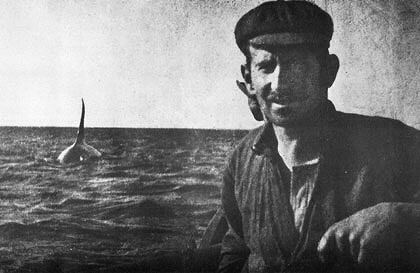 The story, ''King of the Killers'', said, ''For over 100 years he and others of the pack, at one time numbering as many as 30'' rendered an enormous service to the community by intercepting migrating whales and trapping them in the bay. Since the 1840s, the whalers had abided by what locals call ''the law of the tongue''. When the killer whales had helped them with a kill, the whalers would tie the carcass to a buoy overnight allowing the orcas to take their feed. Both benefited, Smith explains, because the killer whales only ate the lips and the tongue - the keenest meat on a baleen whale, leaving the whalers to harvest the profitable blubber and whalebone later. 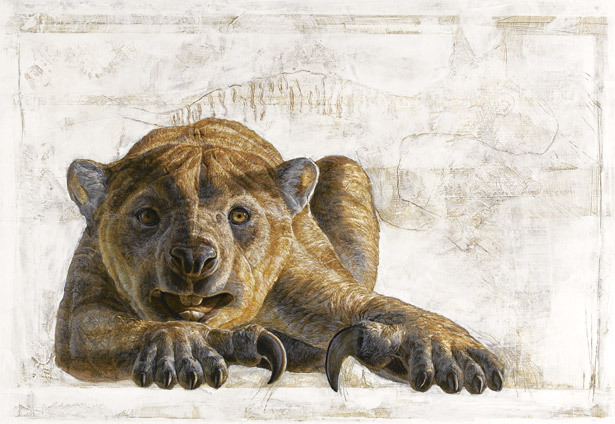 Seven-foot-tall kangaroos, enormous flightless birds, and a predator that could kill them all - meet Australia's extinct megafauna. Did the Ice Age kill them off, or were humans to blame? Among the skilfully recreated menagerie is one of our favourites, Thylacoleo carnifex. September 7, 1936 was a historic day for Australia's endemic wildlife. It was a day of no return, not for some ground-breaking discovery or the passing of a famous celebrity, but rather the extinction of a species cursed by hysteria, greed and apathy. 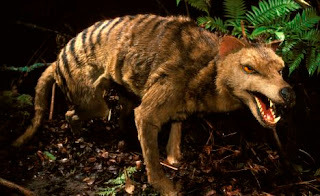 For at least two million years, the thylacine – Tasmanian tiger – had roamed the Australian continent. Humans first came ashore some 46,000 years ago. Our megafauna began to decline, marking the start of our Earth’s 6th mass extinction. Unlike the last one, which finished off the dinosaurs some 65 million years ago, this one is not caused by a wandering asteroid or comet, super-volcano or other natural phenomenon. It is caused by us. "Australia, we now know, was the first continent to be stripped of its giants … rhino-sized marsupial diprotodons, massive kangaroos, six-meter-long goannas and horned tortoises as long as a Volkswagen Beetle … Thus, in its first forty millennia, the sixth extinction ran a wild and deadly course, exterminating the world’s giants. Australia lost 95 per cent of its land-animal genera weighing more than forty-five kilograms…" Dr Tim Flannery. As the sixth mass extinction progresses, the thylacine disappeared from the continent, about 3000 years ago, leaving only the Tasmanian tiger population still co-existing with the early Aborigines. 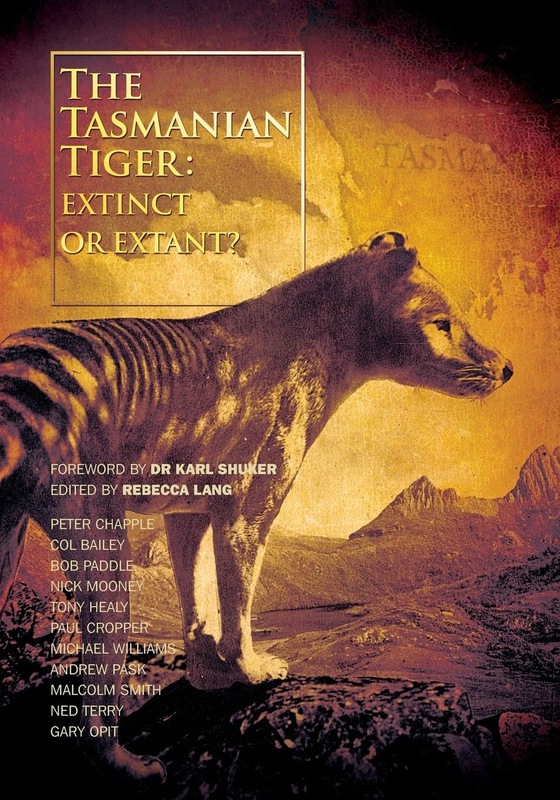 Since European colonisation on Tasmania in 1803, the 'tiger' was exhaustively shot or trapped by sheep farmers paranoid of the marsupial predator. Whole-scale extermination was encouraged by private and state bounties, and lucrative rewards from international museums and zoos. Competition with feral dogs and diseases among the remaining, weakened populations, all contributed to its demise. The last confirmed record of a wild tiger came from a farmer who killed the animal in 1930. 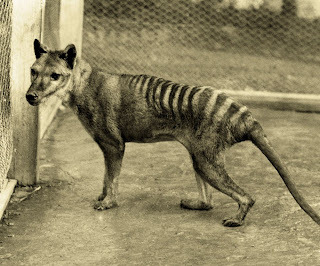 Six years later, the thylacine was finally granted legal protection. This came far too late. 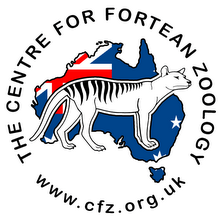 In the same year - on September 7, 1936 - the last surviving Tasmanian tiger on Earth died in Hobart’s Beaumaris Zoo after 12 years of captivity. The thylacine was gone merely 131 years after the first European encountered it. In 1996, Australia declared September 7 as National Threatened Species Day, in commemoration of this tragic loss. The nation's best known Tasmanian Devil has succumbed to the cancer that's devastating its species. 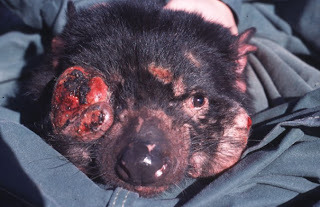 For the past three years the devil known as Cedric has shown an unusually strong resistance to the deadly facial tumour disease. Cedric's death is a setback to scientists hoping to develop a vaccine to stop the spread of the disease. But some observers say that was always a long shot and that other steps must be taken to save the species from extinction.